You are here: Home / Animal Behavior / Captive Animal Culture? This week the Tilikum orca incident came to the forefront of my thoughts gain after Tim Zimmerman left a comment and alerted me to his article titled, The Killer in the Pool and the news announcement that Sea World was seeking a pre-citation settlement agreement with OSHA. Tim wove an amazing article with threads from interviews, documents, and the life story of Tilikum (the Sea World orca) and what might have happened to Dawn Brancheau on her last day of life. He has also been blogging about the topic, and although I’ve tried to contribute, my comments have gone missing in cyberspace–which I took as the universe telling me to write my thoughts here. Other contributors have posed some interesting thoughts but there is a lot of misunderstandings surrounding the captive animal culture (and animal training) and so I wanted to talk about it. One of the questions that came up was whether or not Tilikum was a transient or resident orca–which seems like a reasonable question but from a training perspective it is misleading. An orca is a large predator and so to a trainer, it doesn’t matter what the eco-type because it is a large, powerful predator. When you look at the history of collection, when wild orca captures were more common, they tended to be rodeo roundups at the sea conducted by fishermen and then eventually by those who specifically captured whales. During those times people knew little or nothing about orcinus orca and didn’t care or pay much attention to their natural history or social structure. Today we know that orcas live in different eco-groups with distinctive DNA sequences, varying patterns of behavior and different dialects within each group. However unless people are orca enthusiasts, if you asked people on the street about this I think most asked would not know about these differences. Then, when you enter into the captive environment, it gets more complicated. 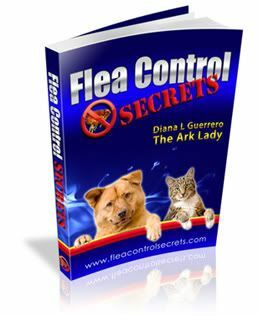 One of the reasons it does is because the records of animals tend to be compiled in an office or database that the average caretaker or trainer does not have access to. In some cases, little or no records exist unless the particular species is under specific regulations by international or national agencies. Because I am essentially a nerd on the quest for knowledge, I do a bit more digging into my students than most. My last big project for a world famous zoological society had me following trails that led back to the jungles of Asia and into an interesting path for each animal in my care. Ultimately it led me to understand some of the unique aspects of successful handling, training, and management of those animals–who happened to be elephants. Their captive animal culture was, in fact, an integration of a diverse group into a new type of environment and life that included close interactions with another species–man. This is true for most species of animals that are housed in captivity in oceanariums or other captive environments. So, what do I mean by captive animal culture? Captive wildlife is vastly different from their wild counterparts for a variety of reasons. Soon it became clear that with all of their needs met (and a lot of free time on their paws, hooves, etc.,) that they needed mental stimulation and environmental complexity. Enter in the wave of environmental enrichment and animal behavior training. The other thing that was happening was that they were becoming habituated to humans and learning to cooperate and interact with them in their own best interest. Ultimately, the zoological match-matching system began to put animals together because they looked the same…until it became clear that they were not the same. Space is limited in zoos and aquariums, plus acquisition is tough and with space constraints–how do you select who goes where? At one time leopards were are lumped together but as time has move forward, research has revealed different subspecies and distinct populations–all cannot make the cut to appear in zoos but at least some attempt is made to identify and separate them today. 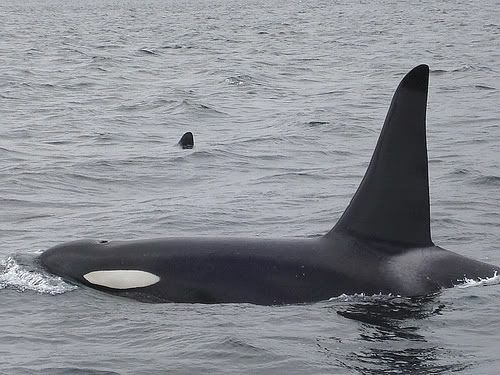 My point is that when it comes to some species (such as orcinus orca–more commonly know as orca or the killer whale) it is a big melting pot of diversity. Captive orcas have come from different regions of the world, different eco-types, and also have had to adapt to different dialects. Imagine going moving from your urban or suburban environment to a third world country or moving from a rural area to another country–or even New York! You would have to learn a whole new skill set, adapt, and learn to integrate and get along. So what I mean by the term, captive animal culture is that we have set up new cultural settings and social groupings and require animals to adapt to them. Overall it changes the animal who morphs into a different, complex creature. It also means that animals, instead of relating to a human as another species, often includes a trainer in their social structure and so relates and reacts to the human as it would one of its own kind–which can pose additional risk to the human. Anyway, when it comes to the question as to whether or not the animal is a transient or resident orca–I think that is the wrong one to ask. What is the social status and relationship status of that animal with other animals in its group? How complex is the environment and training program for the animal? How well is the natural history and behavior of the animal known by those working it? Can the animal’s predispositions be described and can they be identified by those working it? Can the subtle animal communication be identified clearly and immediately by those working it? Only if those questions can be answered can you get a better idea about the animal–who it is and what it might or might not do. But here’s the thing–how predictable are you on a daily basis? So, what are your thoughts-and does this make sense to you?